So Mr. Cox and other sponsors funded a project partnering with Detroit Newspapers in Education in which elementary students participated in a writing program that encouraged them to recognize and celebrate the everyday heroes in their own lives. I had the honor of joining RARE about ten years into its efforts and the joy of implementing a new program; a scholarship contest for Michigan High school graduates. In the first year of the scholarship program, I received over 300 essays from students all across the state. Each student was hoping to win a $1,500 scholarship to a Michigan college, university or a post-secondary education institution. I had the unfortunate luck of only being able to award four of them. It was such a challenge, especially when I read the soul-baring stories of many of those kids. I loved reading those essays more than anything I’d ever done at a job before. When those crumpled, ambiguous orange/tan/yellow manila envelopes crossed my desk, my heart swelled. As I read each essay, a voice would come to life telling a story about his or her life and the “average” human being whom they looked up to. Of course none of these people were average. Among some of the most touching stories were those of cancer survivors, victims of domestic abuse, entrepreneurs who started their own organizations to help people in need, missionaries, and reformed drug addicts who help others suffering with addiction. I often sobbed as I read the stories of these souls who had overcome amazing adversity and found incredible purpose within their lives. And while my hope in humanity was revived through these stories, the ones that often touched my heart most were the stories I read about young people admiring their mothers and fathers. I would giggle at the opening line of nearly every essay, “Many people think a hero is someone who flies or wears a cape…” But as I read on, four out of five essays were students saying that their parents inspired them more than any other individual in their lives. WHEN WILL WE GET IT? These kids look up to us! Everything we say, everything we do. We are shaping their perception of the world. Jim Henson once said, “The attitude that you have as a parent is what your kids will learn from, more than what you tell them.” Our attitude affects them: How do we make our children feel? Do they feel loved and accepted for who they are? It applies to our significant others: Do we choose our words toward our partner as words of respect and love or do we degrade and criticize? How do we talk about the people in our lives? Do we gossip and spread rumors, or do we refrain from judgement realizing that we are not in the shoes of others and do not know how they feel? THESE are the things our children will observe and adopt as their methods for facing the world. Who is responsible for saving the world? I know many times, I catch myself thinking there is nothing I can do to change these tragic events. I have young kids. I can’t fly there and physically be there to help. I have responsibilities here. I mean, I can give money, right? I can collect supplies and send it overseas and that will be a temporary fix. But how do we change the fundamental problems that exist within the government and belief systems that perpetuate these events? How do we prevent these things from continuing to happen? The answer is quite simple. We need to realize that we are not human beings living a spiritual life, we are spiritual beings living a human life. There is so much untapped potential and greatness within all of us. But we are numb. Many of us go blindly through our days in a series of motions thinking we are nobody of importance, we can’t change the world. But what if we all believed we could instead of thinking that we couldn’t? What if we pass that attitude to our children as well and BELIEVE it. We can make a difference. We will and we MUST. 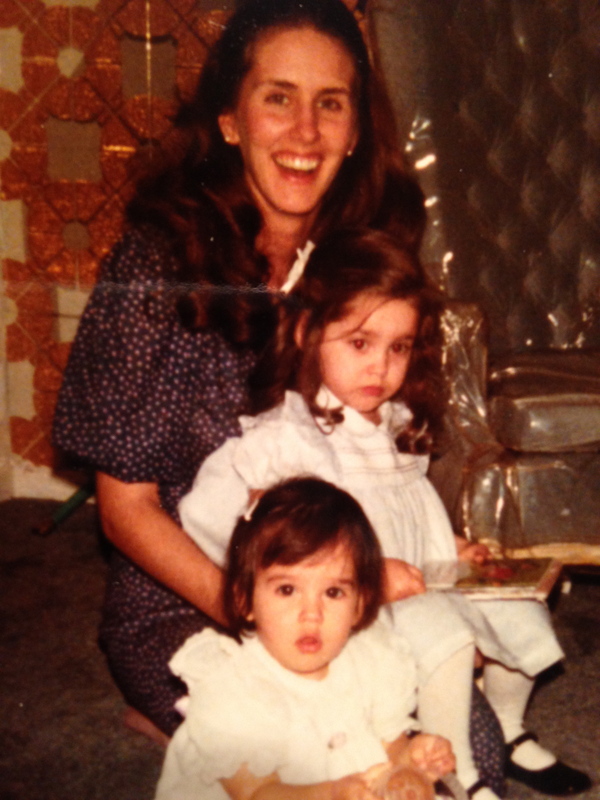 My hero: my mom with my sister and me. wonderfully talented artist and is winning awards left and right). But what I admire about her most is the way she steps up to help anyone in need. She doesn’t ask for any recognition or praise. She lives to serve. And what’s even more incredible is it doesn’t make her boring. It makes her beautiful. She has a light that glows from within. People tell me all the time how beautiful my mom is. Living a life rich in virtue does more for your physical appearance than any plastic surgery. You radiate love and joy. People are inspired just by the presence of those who share their inward light; their divinity. This is what I hope I can pass along to my children. I want to leave them a world of people who see their greatness and won’t stand for injustice or intolerance. I always see the Gandhi quote, “Be the change you wish to see in the world.” I love it, but sometimes it feels vague. After all, what can I really do to change the world? Well, to start, I can serve others; any act of kindness will do. Whatever is in my power this minute is an opportunity. Everything from holding the door open for someone to flying to impoverished parts of the world and handing out clean water is demonstrating an act of God. What’s our moral compass? How do we know what to do? Every day, we are given choices between love and fear; the way we talk to our children, how we treat our friends, it all reverberates from our thoughts, our words and our deeds. The only thing anyone needs to be a hero is the ability to act with love. Early this morning, before the sun had even risen, my boys clunked around the lower level of our house, proudly breaking in their new school shoes not yet smudged and stained from the adventures that awaited them on their first day of school. 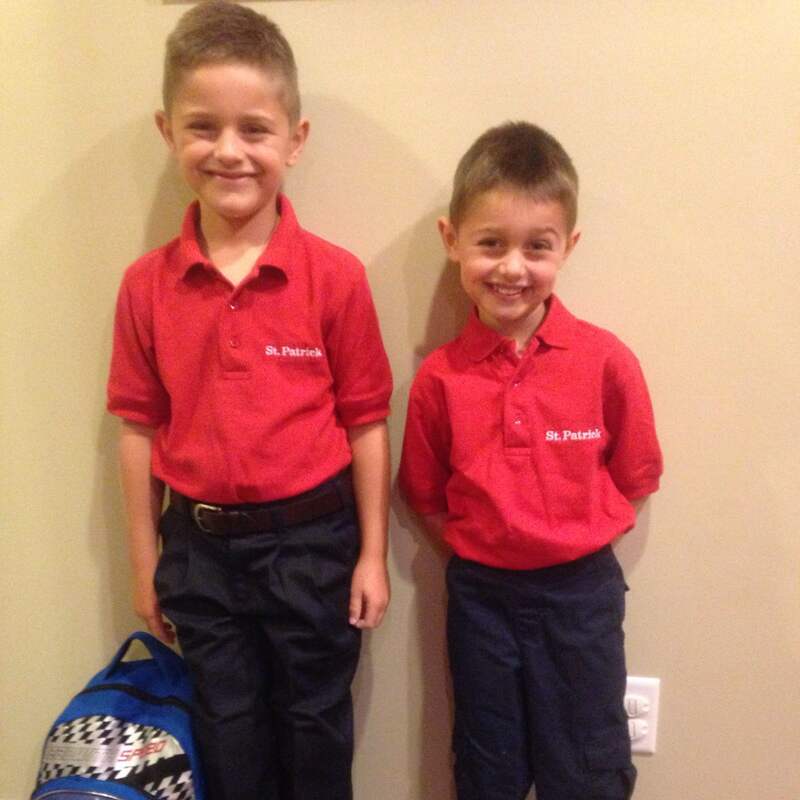 Noah entered first grade and Luke began half-day kindergarten. Noah was dressed in the official school uniform, complete with shirt tucked in and a belt around his waist, notched at the loosest possible hole (might be time to buy him a new one, but that one will work for now). And I just watched them both with a big grin glued to my face. Last year, on the first day of school, just as each year before, I was a ball of nerves. I jumped at every chime of my phone; would it be the school telling me to come right away? Something had gone horribly wrong…but no. That call never came. I just worried every day that it would. Instead, for the first time on the first day of school, I felt quietly reflective. After I kissed their fuzzy little heads good-bye, I sat on the couch and watched the sun rise over the trees in our backyard and felt joy in just being. I also feel a sacred part of my own journey has begun, not only as a mother, but as a human being. I finally feel I understand what it means to choose to live a life of love. I know it may seem to many of us that we are living a life of love. I thought I was before, too. But now I know I wasn’t because I see how much fear and anxiety ruled my emotions. Even my most joyful moments, I nearly ruined because my next thoughts were often, “Okay, but what is going to go wrong?” It was almost as if I didn’t think I deserved to be completely happy. But I do! We all deserve to be blissfully, stupidly happy, even those of us who struggle with challenges of health or circumstance. We are NOT OBLIGATED to “get through” the days of our lives. We are given the OPPORTUNITY to choose love instead of fear to meet each day, regardless of what situations the day greets us with. And in truth, I love, love, LOVE being a mother. All of it. I recognize that my Truth is to love who I am right now, in this minute. I love that my kid dropped the F bomb the other day. I love my daughter who even after six weeks of being potty trained, crapped her pants yesterday while watching t.v. I love that my boys will not eat any vegetables and I can’t bribe them with all the ice cream at every Dairy Queen in the U.S. to try a piece of broccoli. Of course I could think of less frustrating things to do. But I love that these are all opportunities for me to choose love to guide my reaction; not to worry about the end result. So what is that end result? Will my son have the mouth of a sailor? Will Gracie need to wear diapers in high school? Will my boys never eat a salad? I think the answer to each of these is, “Not likely.” The result I can count on and what brings me back to my center is that no matter what I do or don’t do, my kids are going to be exactly who they are meant to be. Now the choice for me to make is, do I help them get there with love or fear?